Hospital Sungai Buloh in the news. Not good news, though, if it is true…. Blogger was hospitalized 3 times at the Ipoh General Hospital, and underwent surgery. He has only praise for doctors and staff. All are precious but mothers waiting to give birth are doubly precious. Kuala Lumpur: “Gambar tidur di atas lantai itu tak betul kerana dalam wad tiada ruang kosong disebabkan kami ada katil rendah untuk menampung kerusi disediakan. Saya tak pasti itu gambar bila dan akan buat siasatan,” demikian reaksi Hospital Sungai Buloh (HSB) Dr Khalid Ibrahim mengenai dakwaan layanan buruk diberikan kepada ibu yang bakal bersalin di wad bersalin hospital berkenaan. Dr Khalid berkata, pihaknya menerima arahan daripada Kementerian Kesihatan menyiasat dakwaan berkenaan bagi memberi pencerahan keadaan sebenar kerana penyebaran gambar itu boleh menjejaskan imej perkhidmatan awam. “Memang kami ada ramai pesakit yang mahu bersalin di hospital ini dengan jumlah 50 bayi sehari malah kami menyediakan 140 katil membabitkan lima wad untuk keperluan ibu dan rawatan selepas melahirkan bayi berbanding 90 katil dan tiga wad sebelum 2015. About 50 babies are born in the hospital a day, with up to 10 caesarean births. This works out to about 13,000 patients a year in the maternity ward…causing a real strain on the hospital. 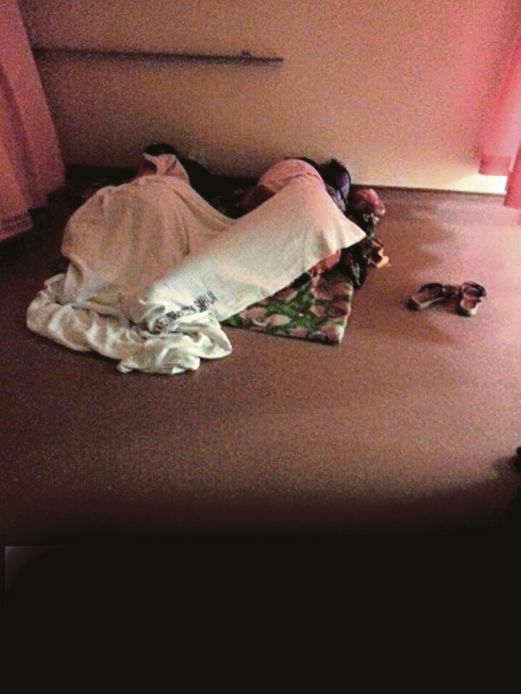 Hospital Sungai Buloh is investigating claims that women in labour were forced to sleep on the hospital floor, after pictures allegedly showing this went viral. Facebook user Khairana Rahman posted four pictures claiming she received poor treatment while in labour at the hospital in September, and that other patients were made to lie on the floor. “Sometimes there are too many people (in the maternity ward). It is seasonal. “The pictures allegedly showing that women were made to lie on the floor is not true. We provided them with beds, on top of chairs. “However, we will investigate the matter,” Hospital Sungai Buloh director Dr Khalid Ibrahim told Malaysiakini. He also vowed to investigate claims that the staff were rude to the patients, and promised improvements. “We always remind them on their soft skills. This might be an isolated case but we will investigate through our Obstetrics and Gynaecological Department chief. He said the hospital has five maternity wards, while a first class ward was converted to a maternity ward to meet demand. “So I don’t understand (what was written in the Facebook posting) because we provide sufficient beds, even when the maternity ward is full. “Those who are not yet going through contractions will wait at the chairs provided or at home. We usually advise them to stay home until they go into labour,” he said. He also urged those with complaints to contact the hospital directly, so as not to raise negative perception against public health providers. This entry was posted in Uncategorized and tagged maternity ward hospital sungai buloh, sungai buloh hospital. Bookmark the permalink. 1 Response to Hospital Sungai Buloh in the news. Not good news, though, if it is true….